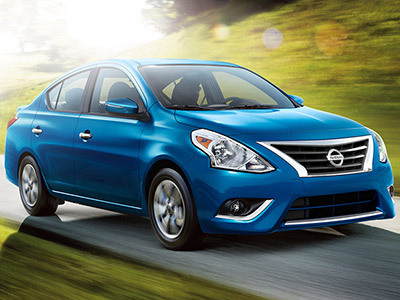 With its roomy cabin and classy style, the Versa is our favorite for interior space. Compared to competitors, its rear seats are especially big on head and leg room. You can drive your tallest friends across country without having to listen to any complaints. In the Toyota Yaris, there's enough space to ferry around your family in comfort. However, cabin materials are a bit lackluster - you'll find more attractive trim and plusher cushioning in the Versa. The Versa is more than just an affordable hatchback - it's an affordable hatchback that keeps you connected. Every model comes with Bluetooth phone connectivity, which means you can make emergency calls home, hands-free or keep in touch with the office on an unusually long commute. And, with the 5-inch color display, you can navigate infotainment options with minimal distraction from traffic. The Toyota Yaris comes with HD radio and a USB port, so keeping devices charged is a no-brainer. Its infotainment system is pretty basic, as one might expect in this segment, but we just wish it were a bit more intuitive. The Insurance Institute for Highway Safety gave the Versa its top score of "Good" in a variety of crash tests, making it our pick in this important category. (http://www.iihs.org/iihs/ratings/vehicle/v/nissan/versa-4-door-sedan) Nissan also supplies anti-lock brakes and traction and stability control for every Versa model, boosting your confidence when the weather turns stormy. You can even add a rearview camera to help you back out of tight spaces safely. The IIHS also gave the Yaris its top score of "Good" in a few tests. Unfortunately, the Yaris didn't fare quite as well in all IIHS crash tests, scoring only "Marginal" on small overlap front tests. And, if you want a rearview camera, you'll have to look elsewhere. 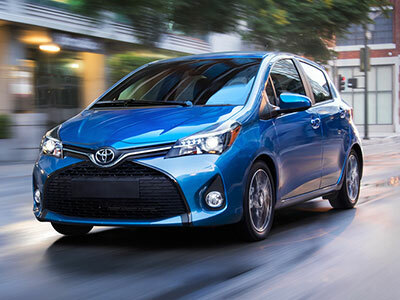 The Yaris gets our respect here, earning up to 32 city/40 highway mpg. It's the right pick if you're aiming to pinch your pennies at the pump. With the 2017 Nissan Versa, you can earn up to 31/39 mpg. It only trails behind the Yaris by a few miles, and it offers a smooth, comfortable ride to boot. Both of these subcompacts have their high points, but the 2017 Nissan Versa leaves the competition in the dust. Inside, it's got everything you need for a long ride - space, supportive seating, and important tech features. The Versa is also big on safety and efficiency, getting excellent gas mileage while giving you a comfortable, sporty ride.